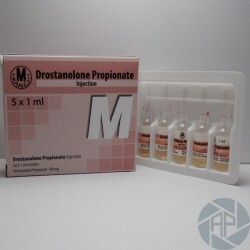 Drostanolone propionate - a known unique product that is widely used in many sports, due to its quick and positive effects. The course of drugs is shown only to healthy adults have no health problems. We recommend that before you start taking the drug undergo a medical examination to determine any contraindications regarding its reception. The product due to its composition can also combine and combine with many anabolic today known. Due to its properties, which can easily be combined with medications like Winstrol and oxandrolone. Don't forget the presence in their diets for sports complexes date and nutrition sports, rich in proteins, mainly. 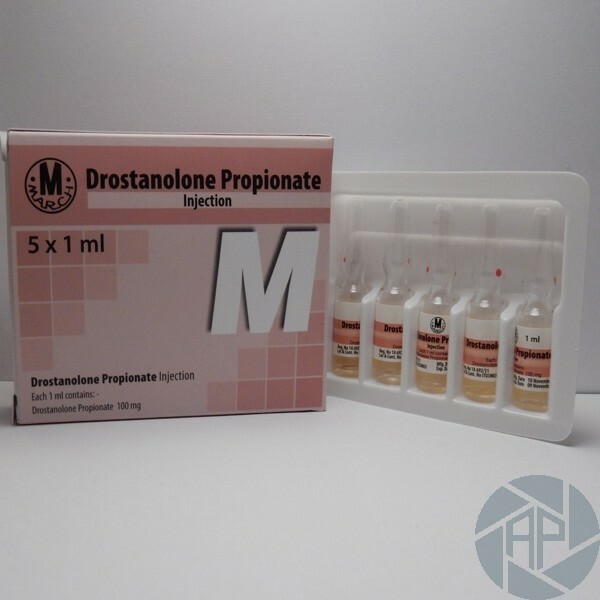 The dosage of any anabolic steroid is a purely individual rule, but there are indicators of the total dose half of which boost the athletes. In this case, the dose of the drug for beginners, as well as those athletes who undergo rehabilitation and recovery after an injury, of course, the dose should be approximately 100 mg per week. For all other categories of athletes, the dose may be up to 300 mg. However, we would like to warn you should not engage in too large doses of the drug since it will inevitably lead to the emergence of side effects. According to bodybuilders, the drug has good properties of accumulation in muscle, increase strength gains and the motivation of an athlete, burning excess body fat, increases appetite and muscle endurance during training. In a relatively short period of time, during the course, the athlete can achieve very significant improvements in its physical form and other indicators of a bodybuilder. This drug has a lower rate of anabolic, so while you have a good fat burning properties, however, can increase the risk of side effects of androgenic, know, acne, baldness, prostatic hypertrophy. Women taking the drug may cause virilization symptoms. A good positive aspect of this drug is its properties do not cause water retention in the body. It also has a relatively low toxicity for the liver and the human kidneys. Forced to once again remember that overconfidence in the higher doses of the drug can lead does not improve its efficiency in the body, but rather the deletion of some of its functions, the deterioration of the general condition of the human body, aggravation of some diseases that were not identified during the medical examination prior to the course. The drugs are mainly set in such way that it works is not the quantity but the quality. A dose relatively small of an athlete reaches the blood absorbs quickly and begins its action. In addition, do not use this medication in combination with alcohol. This principle applies to the majority of modern anabolic steroids. the alcohol molecules also are entering the blood not only hinder the work of the drug but also by virtue of the flow of certain chemical reactions, biochemical processes in the body builder will lead to significant side effects and deterioration of the general condition of the athlete.